This ideal tourist attraction, filled with more than 700 exhibits, will pique every student’s interest. Eureka Fest. Courtesy of Museum of Science, Boston. The Museum of Science has been bustling with hundreds of eye-opening ancient and modern innovations for nearly two centuries. 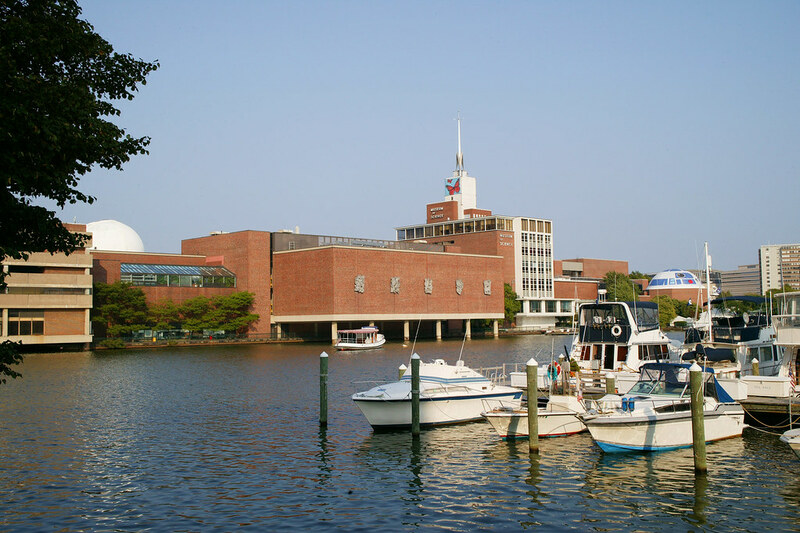 Located in Boston’s Science Park along the Charles River, the museum has survived several name changes and the two World Wars, not to mention undertaking a major $250 million renovation in 2013 to feature state-of-the-art exhibitions on the latest technology and human evolution. Museum of Science overlooking the Charles River. Courtesy of Museum of Science, Boston. Over the years, teachers and educational travel planners have consistently included this noteworthy attraction because it’s well suited for their students’ eclectic interests. Pupils of all ages will feast their eyes on space discoveries, historic transportation models, lifelike dinosaurs and exotic butterflies—all of which are thematically displayed in Blue, Green and Red Wings throughout the museum. 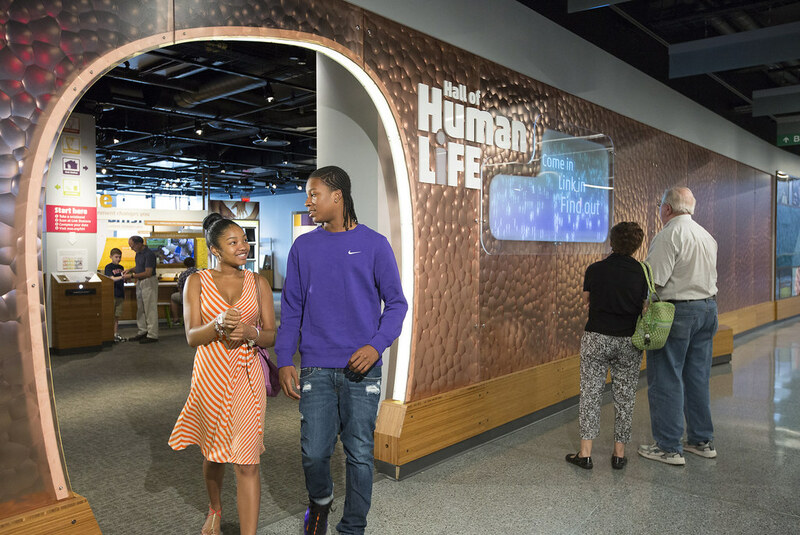 Upon entering the Museum of Science, students will encounter cutting-edge technological advancements in the Blue Wing. The Wicked Smart: Invented in the Hub section shows off discoveries local to Boston, such as a lever-controlled wheelchair that glides over the roughest speed bumps and a cheetah robot invented by scientists from MIT. The most popular innovation in this section, however, is the particle mirror, which allows us to interact with simulated special effects. In the center of the Blue Wing, the Gordon Current Science & Technology Center exhibition boasts creative innovations. The Gordon Center also includes a section on nanotechnology, the study of the world’s small yet influential objects. Here, students can detect more than 2,000 disease carriers with a micro device known as a “GreeneChip” and test out their athletic skills with carbon-charged tennis racquets. Across from the Nanotech exhibition is the magnificent full-size T. Rex model, the museum’s first T. Rex—dating back to the 1960s. Surrounding the photogenic giant is a variety of other dinosaur skeletons that have evolved to what we now know as birds and reptiles. Digital kiosks and a large mural help envision what later dinosaur models might look like. 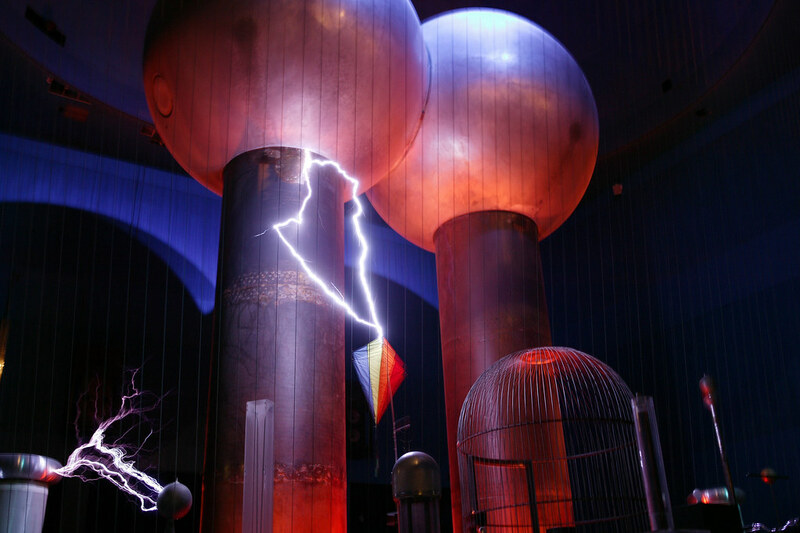 Adjacent to the T. Rex model and spanning the first and second floors of the Museum of Science is the Theater of Electricity, where groups will witness Tesla coils, flashing artificial lightning bolts and the largest air-insulated Van de Graaff generator in the world. Theater of Electricity. Courtesy of Museum of Science, Boston. In addition, the first floor’s Blue Wing houses the temporary Crocodiles exhibit, which just opened May 20. Students can learn more about all sizes of these dangerous reptiles and view a few live crocs in the closest environments to their natural habitats. The Making Models exhibit nearby allows visitors to experiment like scientists. You can collaborate with your peers, examine different areas of the heart and learn the components of different models. In the first floor’s Green Wing, student groups will experience The New England Habitats exhibition, a collection of dioramas that capture animals in their natural environments. They will observe birds flying across the Katahdin woods, bears protecting their families and beavers communicating as they detect danger. Other displays illustrate the beautiful topography of Northeast beaches, mountains and lakes, all located within a 150-mile radius of each other. Students can finish out their first-floor excursion of the Museum of Science with a spectacular showing from the Charles Hayden Planetarium or the Mugar Omni Theater in the Red Wing. The Charles Hayden Planetarium offers visitors the chance to blast off into outer space and, on Friday and Saturday evenings, revel in pop music from their favorite contemporary artists, such as Coldplay, Rihanna and Beyoncé. 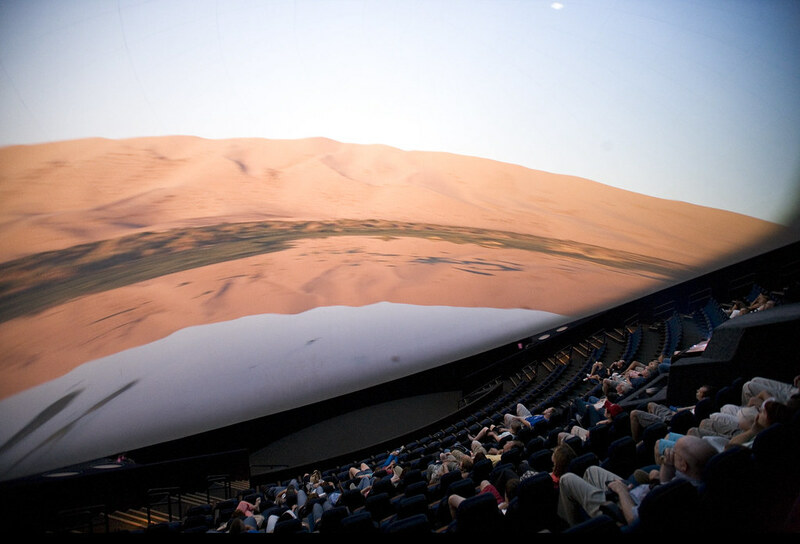 The Mugar Omni Theater, known as the largest film display in the world, sports a five-story tall IMAX Dome screen with special films exclusively for students. During any time of the year, you have the option to embark on the Lewis and Clark expedition, dive into deep oceans with humpback whales and even get caught in the midst of natural disasters. Mugar Omni Theater. Courtesy of Museum of Science, Boston. On the second floor, visitors will interact with more animals and learn about their bodies. To start, the far left of the Blue Wing houses fascinating wall displays of deceptive pictures, geared to help us understand the importance of perception and reality. Walking along this exhibit brings you to Dora & Diego—Let’s Explore! Young visitors will enjoy gathering pine nuts and sailing with their favorite characters and friends. They will additionally develop problem-solving skills and learn a few Spanish words along the way. Similar exhibits can be found in the Investigate! section, located directly across from Dora’s and Diego’s expeditions. Perhaps the most impressive section of the second floor’s Blue Wing, however, is the magnificent Butterfly Garden. Here, you will start their tour through a greenhouse filled with the winged wonders as they fly amongst the visitors. The tour continues into a section surrounded by caged creatures, such as beetles, cockroaches, spiders and ants. In the second floor’s Green Wing, students will learn about their bodies, from conception to birth, as well as their development into young adults. A number of smaller stations detail the human diet, answering key questions like, “What makes us hungry?” and “How does exercise directly affect the body?” Coupled with human body exhibitions are adorable installations of chicks and bees. A separate gallery allows visitors to observe equally adorable tamarins leaping from tree to tree. Hall of Human Life. Courtesy of Museum of Science, Boston. On the lower level, most visitors start with the Blue Wing’s Tricerotops Cliff and Dinosaurs room, equipped with more giant skeletons and dinosaur simulations. Upon completing a journey through dino land, check out intricately designed model ships and trains in the neighboring Transportation exhibit. Another popular exhibit is the To the Moon station, where students will experience life inside a space ship and view a replica model of the Earth’s moon. One of the most beautiful sections of the museum is the room of Natural Mysteries, located between the Blue and Green Wings. Students will examine glistening crystals, minerals, shells and rocks. They will also explore several U.S. environments with different climates and topographies. Above all, they will learn how scientists identify specific patterns and classify their discoveries. Directly across from the Natural Mysteries exhibit is the Yawkey Gallery on the Charles River, where students will get an up-close look at some of the specimens that are local to Boston’s waterways and learn about how to keep the river healthy. To the far left, the Green Wing’s Bird’s World offers a virtual tour of Maine’s Acadia National Park. This section has every type of bird that has been discovered in New England, along with helpful tips on how to identify each of them correctly. If you’re planning a student trip to the Museum of Science, group tickets are available at discounted prices for at least 15 people. Arrangements to see temporary exhibits, films and theater shows must be made at least two weeks in advance. Separate admission fees are required. Food is available at the Riverview Café, and gifts can be purchased at the Museum Store. The museum is conveniently located across the street from Park Train Station for groups that would like to explore the rest of Boston following their trip to the museum. For more information, visit mos.org. The group sales department can be reached at groupsales@mos.org or (617) 589-0447.